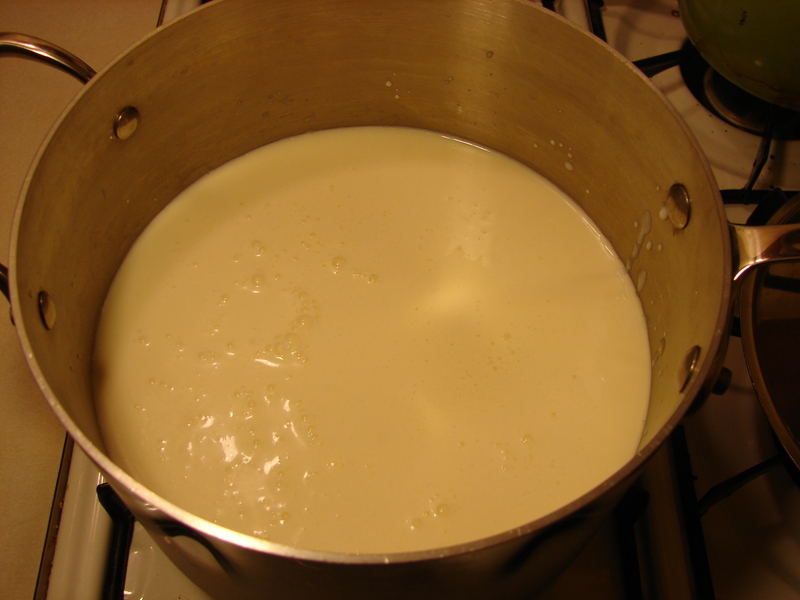 Combine milk, heavy cream and buttermilk in a saucepan. Heat to 190-200 degrees. 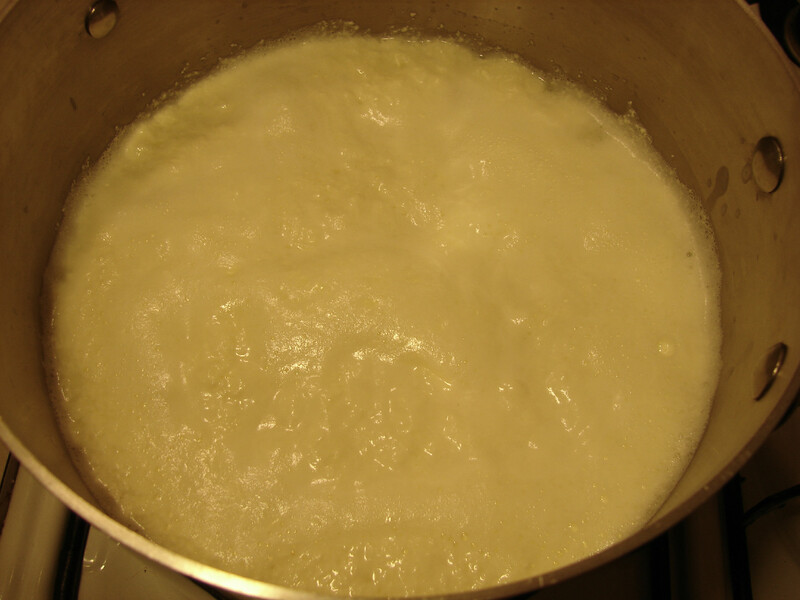 Curds will begin to form. 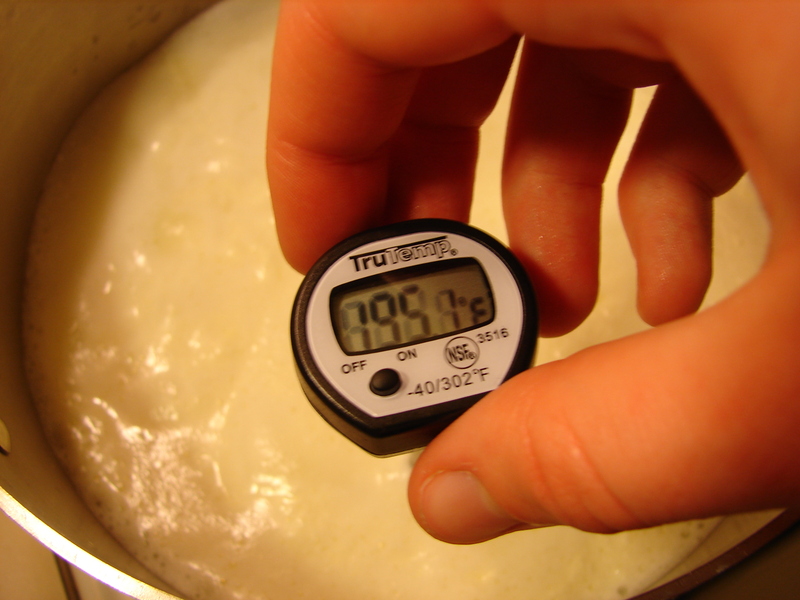 If you don’t have a thermometer, this is just before it boils. 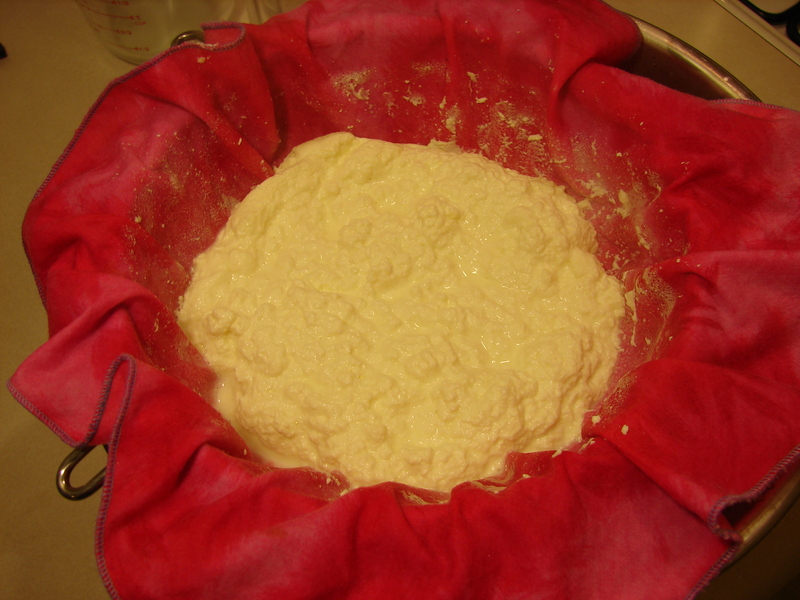 Pour through a cheesecloth lined strainer set over a bowl. 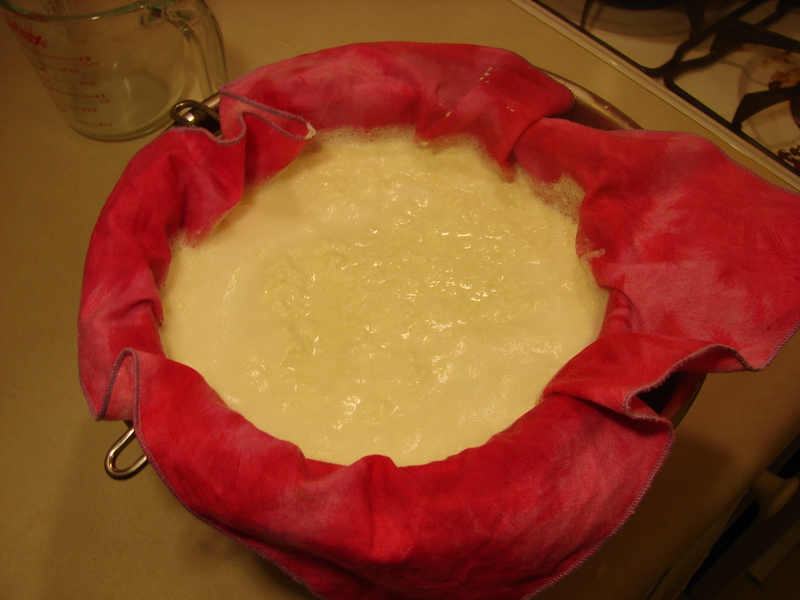 I didn’t have any cheesecloth, so I used a cloth napkin. 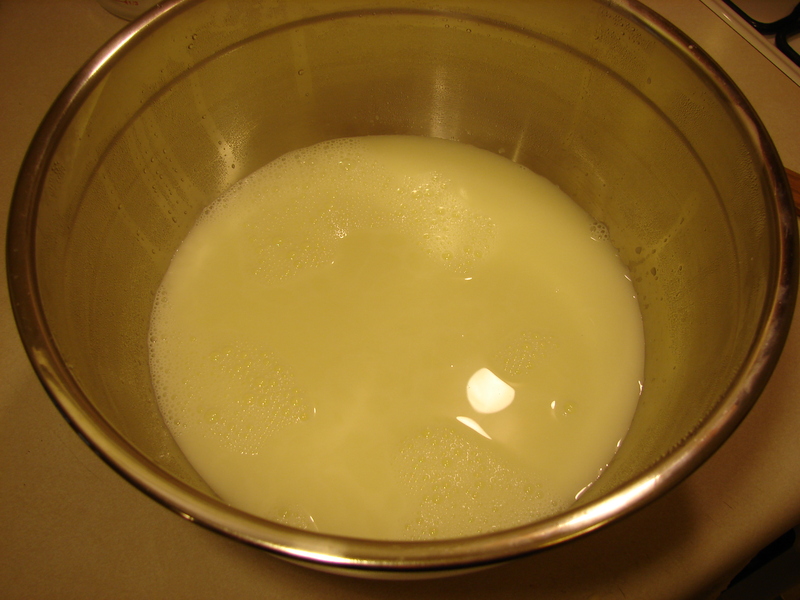 Let sit until the whey has drained out and it has the consistency of ricotta cheese, about 10 minutes. 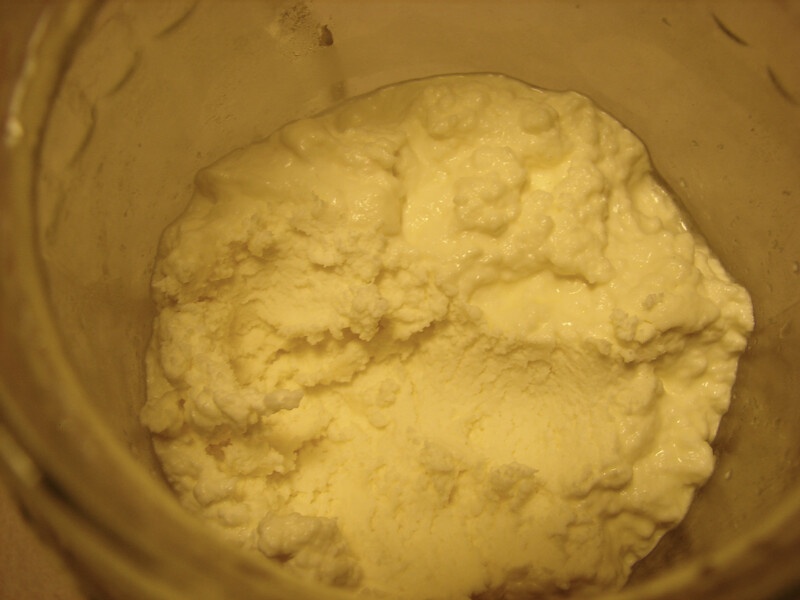 Put the ricotta in a container and refrigerate. I put mine in a glass jar. You’ll have about 4 cups of whey leftover. Don’t throw this away! 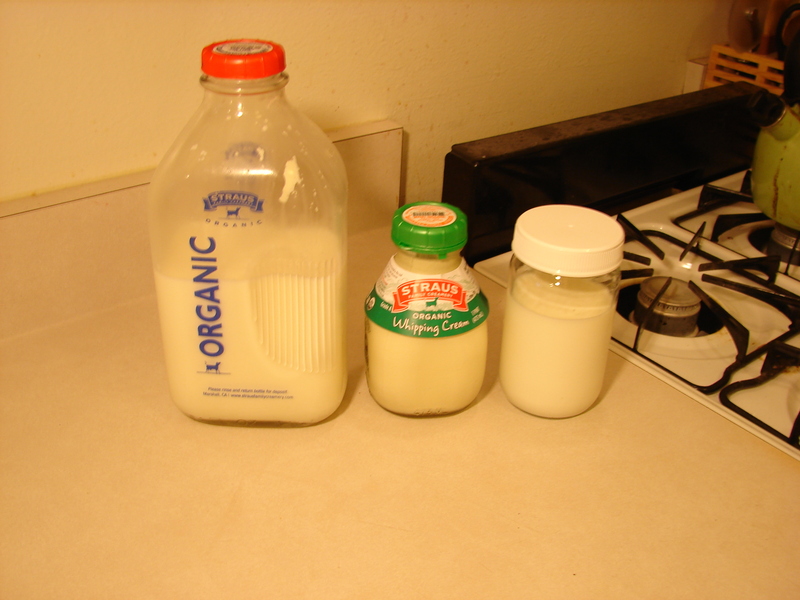 You can use it in bread in place of milk or water. It’ll keep in the fridge for about a week. I’ve used whey in my oatmeal raisin bread, my beer bread and my homemade burger buns. I made this ricotta cheese so I could make stuffed pasta shells, but you can also eat it by the spoonful. Enjoy! Posted in All Recipes, You can make that?